Le Meridien Cairo is a 5-star Category-1 Marriott property located across the street from Cairo International Airport Terminal 3. It is connected by an elevated walkway, which you can access within the terminal. I probably stayed here for 4 hrs as I wanted a place to lie down for a few hours and shower. I booked it prior to the August 26 Starwood/Marriott merger, and paid 2,000 SPG points, because it’s a weekend stay. They only had one check in counter at 2 am, though one of the desk managers stepped up and processed my check in. Same with check out, but it didn’t take too long. I was given a King bed room. It is a decent size, with King bed, work desk and lounge chair with a table. 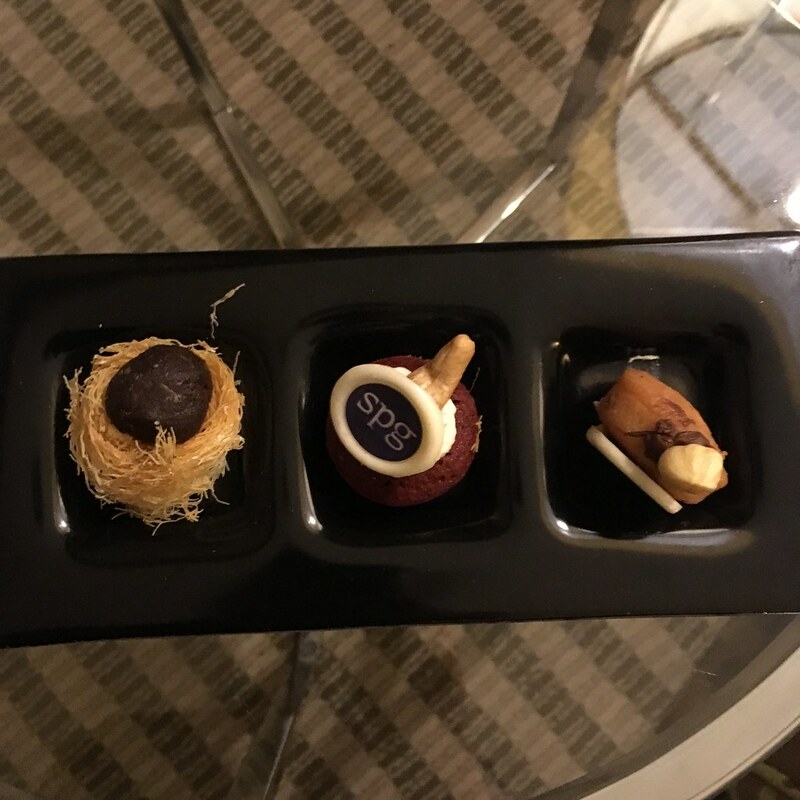 On the table, there was a nice little welcome amenity of petit-fours, welcoming me to Le Meridien Cairo. There were no power outlets by the bed, so I charged my electronics on the desk. The wifi worked fine. A little on the small side, it has a long rain shower and single vanity. 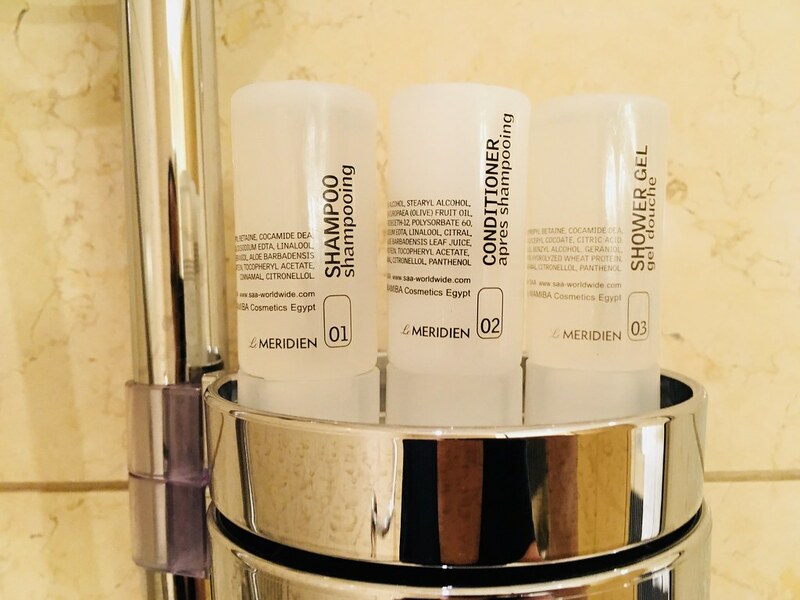 They stock Le Meridien shower products. 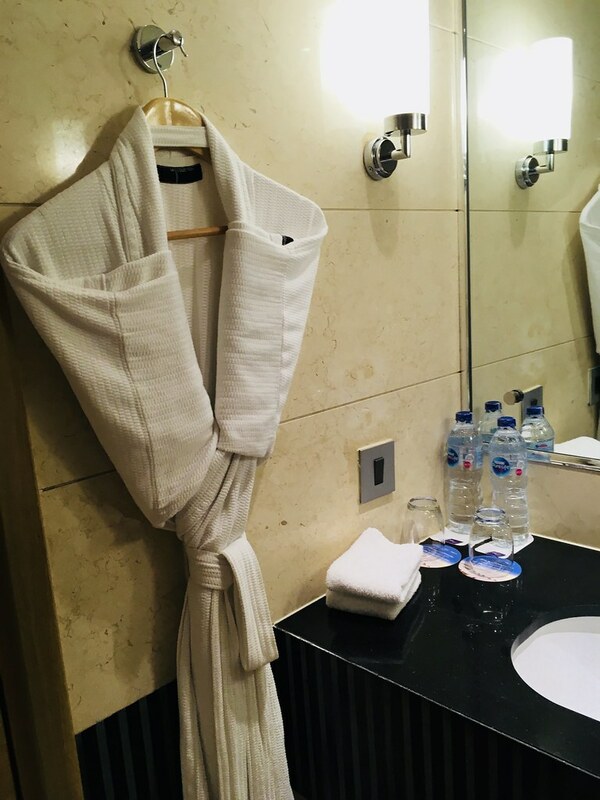 Le Meridien Cairo airport checks the list for a good hotel airport – proximity, speed and comfortable rooms. 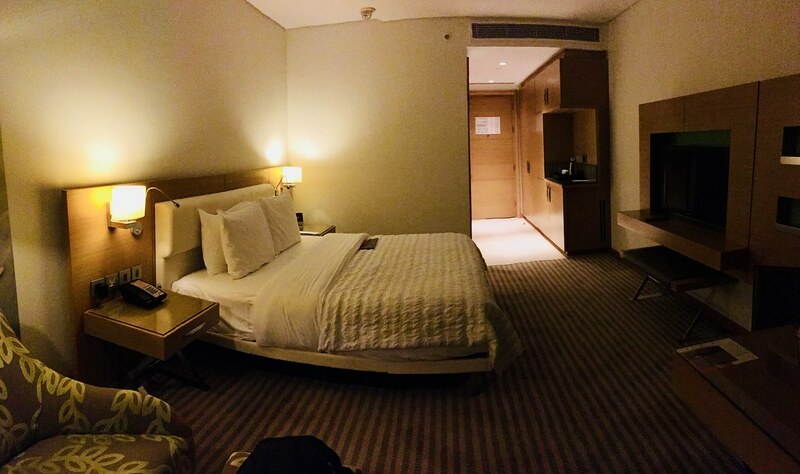 The location is excellent, you can access the hotel from the terminal, so if you have a short layover and don’t want to deal with the horrors of Cairo traffic, it’s an excellent choice.